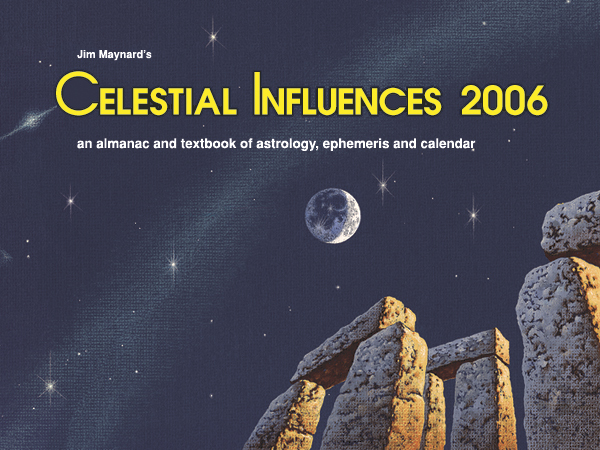 Cover art by Armando Busick reused from the 1979 Celestial Calendars. 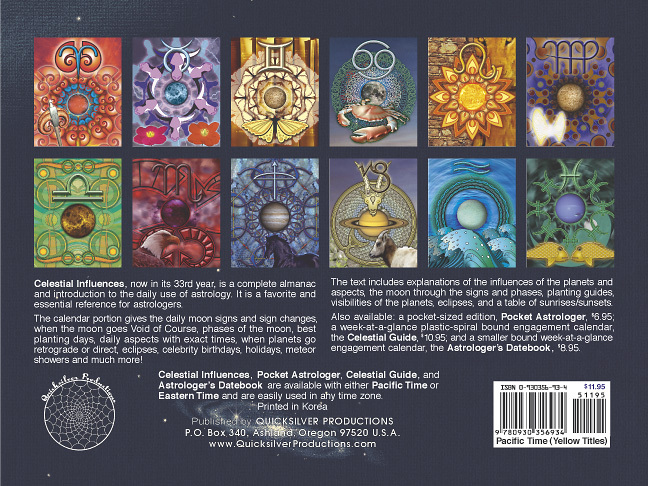 Zodiac illustrations by Leon Mahoney from New Zealand. 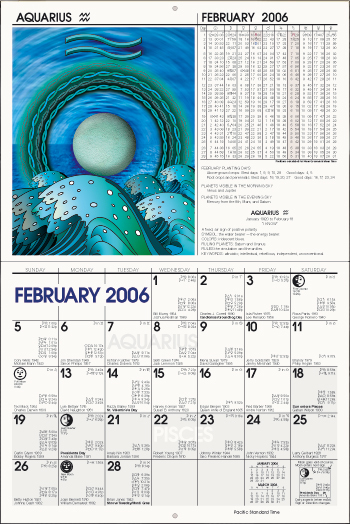 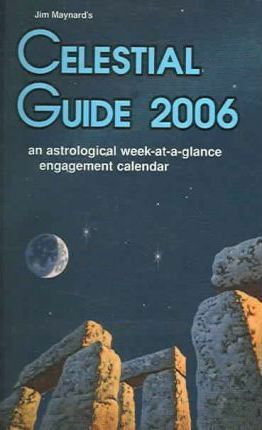 Use the contact us page to email us to purchase any of the 2006 calendar versions. . . . . . .